On Launched The Visit Zambia 2005 Campaign! Why the Visit Zambia 2005 Campaign? About 150 years ago, on November 16 in 1855, the Scottish explorer Dr David Livingstone "discovered" the Victoria Falls which he named after Queen Victoria. 50 years later, in 1905, the nearby city of Livingstone was established in honour of David Livingstone. That’s about 100 years ago! That’s why the Zambia National Tourist Board has put the Visit Zambia 2005 campaign in TOP gear. So discover why Zambia is Africa’s best-kept secret. Savor it and make the secret yours! Remember that the Victoria Falls is the Pride of Zambia and Livingstone town is southern Africa’s Adventure Centre. Why a visit to Victoria Falls ? Locally the Victoria Falls is known as the Mosi-oa-Tunya, “the smoke that thunders.” It is also considered the largest curtain of falling water. With it’s dimensions of 1,700 meters (5,100 feet) long and a 111-meter (300 feet) drop, the Victoria Falls are a spectacular sight of awe-inspiring beauty and grandeur on the mighty Zambezi River, that borders Zambia and Zimbabwe. It is a place of legend, romance and myth. Most visitors agree that the Zambian side gives a far better view of the Victoria Falls. What with the 1,200 meters (3600 feet) of the 1,700 meters being in Zambia and all visible. House boating to enjoy your exquisite sunsets and stargazing on Lake Kariba. Tandem kayaking, using an experienced kayaker who’ll take you through the raging rapids of the Zambezi - great fun and quite safe. Elephant back safaris, tame elephants give the best view of game in the Mosi-oa-Tunya National Park. And have you ever heard of the Songwe Point and the Mukuni Village? Two tourist spots based on themes of typical tribal villages. At Songwe Point the food is cooked in traditional utensils and on fire wood. Not on electric cookers! And you get to smell the fire. As for the lighting, it's provided by lanterns, and of course, no telephones. It's life in a typical village except for the comfort and personal attention that will spoil you. This is the hallmark of the "Visit Zambia 2005!" What about the colourful ceremonies of the friendly local people? You’re welcome to experience the unique and exciting mingling at the attraction packed annual traditional ceremonies such as the Kuomboka, Umutomboko, N'cwala, Likumbi Lyamize, Shimunenga, and many others. Over 21 ceremonies take place yearly. the Railway Museum, home of the 19th century rail locomotives and coaches in prime condition, refurbished to their original décor. Sample the steam safari! Victoria Falls Field Museum at the heritage site has records of the geological explanation for formation of the falls. and the Livingstone Museum, the country’s prime museum with records of both natural and human history. So what gives? You don’t want to miss the "carnival cerebration train". Visit Zambia in 2005! to see the pristine wilderness, the profusion of wildlife…and meet with the friendly people! 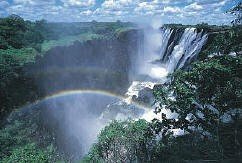 To discover why Zambia is known as…the real Africa subscribe to Africa’s Best Kept Secret E-zine. The newsletter will reveal to you the hidden gems of Zambia’s African safari. So if you’re a lover of African safari, wildlife and have interest in safari business please subscribe to my weekly e-zine.